Custom shape advertisers are very effective eyecatchers. These are not yet so commonly used in Estonia and differ clearly from conventional means of advertisements (but also from rest of the enviroment). 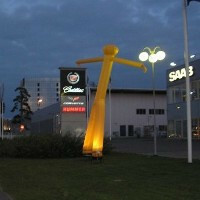 It is possible to develop a inflatable concept according to your specifications and requirements. 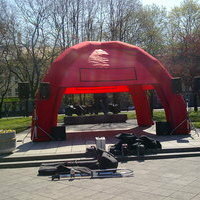 Inflatable tents are used in various sales and promotion events. It is possible to produce very different shapes and sizes with custom text. Putting up such a tent is very easy – just plug in and in a few minutes its ready! To get more ideas visit our gallery. Start arches are good means in organising a sporting event. Easy to use and the time spent on assembling and packing is minimum. Commonly used are so called standard arches that have Velcro strips attached to enable removable advertising banners to be fitted. Different standard arches available to order. A half an arch is often used in marking a starting or finishing point. Its when a starting point is either too narrow or too wide which makes the use of full arches complicated. But originally these are used to mark the distance on course. These have also Velro strips attached to use removable advertising or distance information eg etc. Perfect way to those who wish to stand out. Text or logo can be printed directly on the inflatable ball or be placed as banners. Possible to produce in many different shapes and sizes according to your needs. Conventional adverts are visible on one or max two sides to be visible in 360 degrees. Inflatable tubes have mainly the same advantages as exhibition spheres but sometimes its better to use the tubes due to the product specifications. Its possible to cover the entire tube with the desired design. 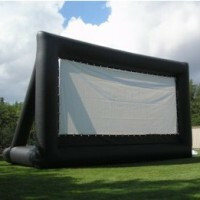 Inflatable advertising wall, to be used as outdoor or indoor evens/ceremonies. Easier to use background (reattachable banners) if its different events or different logos. 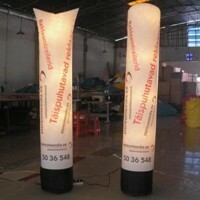 Usually the big advertising walls are expensive and time consuming to make and afterwards often there is no use for it – then inflatable wall is the best solution. The inflatable pillars are mainly to be used indoors. Easy and fast set up. Possible to light inside. Often its only nessesary to present on 1 or few events/presentations. Then its not reasonable to produce your own custom advertising tool. Renting is your option! We have standard products for rent that can be customized with your banner.